The same obsession with quality and experimentation that guides Seattle’s dinner menus and cocktail lists is evident in its cakes, pies, ice cream, and grown-up takes on s’mores. Here’s our sweet guide to the most decadent desserts around town. 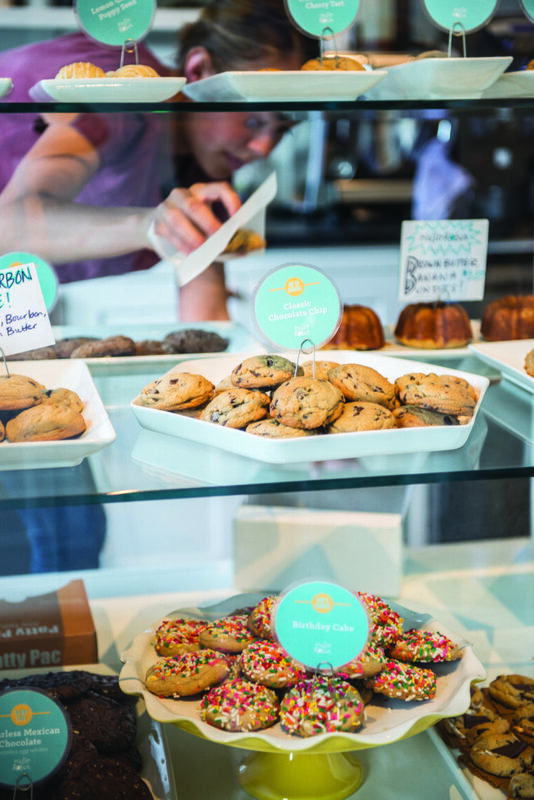 Sweet tooths have a lot to drool about in sugar-crazed Seattle, where chefs whip up decadent desserts and gooey-good treats. Start with one of the city’s most iconic confections: coconut cream pie by celebrity chef Tom Douglas. It’s a triple threat of shredded coconut crust, creamy coconut filling, and a final sprinkling of—you guessed it—toasted coconut on top for texture. It’s always on the dessert menu at Dahlia Lounge (*2001 Fourth Ave; tomdouglas.com), the chef’s original restaurant, as well as next door at Dahlia Bakery, where the coconut cream treat comes in the form of whole pies, mini pies, single slices, and even baby bites. Our advice: spring for a baby bite so you have enough room left over for a fig bar (an elevated version of a Fig Newton) or chocolate truffle cookie. Nearby, Pike Place Market has plenty of other amazing sweets. There’s cheesecake at The Confectional (1530 Pike Pl; theconfectional.com) and cinnamon doughnuts fresh from the fryer at Daily Dozen Doughnut Company (93 Pike St, Ste 7), but—oddly enough—one of the most memorable desserts around might just be Greek yogurt. Trust us: The servings at the tiny Ellenos Real Greek Yogurt (1500 Pike Pl; ellenos.com) counter, across from the iconic Rachel the Pig statue, are every bit as creamy and decadent as ice cream. The staff is generous with samples, so taste around before deciding on a flavor, or mix two together—fruit renditions like lemon curd, marionberry, and passionfruit seem well suited to the yogurt’s mild tang. A few blocks away is one of six Cupcake Royale (108 Pine St; cupcakeroyale.com) locations around the city. The cupcakes—topped with a generous swirl of icing—are marvelous, but the ice cream is even better. 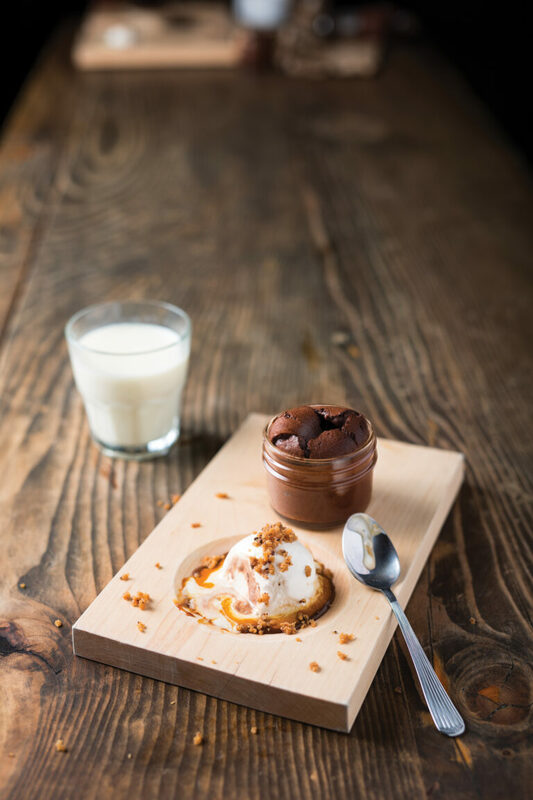 Flavors are uncommon but approachable, like burnt caramel with sea salt or a fresh-tasting mint with a ribbon of house-made fudge. Some flavors even involve chunks of actual cupcake, from red velvet to salted caramel. East of downtown, Capitol Hill is Seattle’s restaurant epicenter, with many a spot for a sugar fix. Trove (500 E Pike St; troveseattle.com), the business name for a collection of eateries by chef Rachel Yang, includes a walk-up parfait counter serving treats inspired by Korean and American desserts. One seasonal version uses a Snickers bar as its muse, layering chunks of black sesame cake, soft serve, and crunchy-sweet candied peanuts, all drizzled in a miso caramel sauce. It’s hard to miss the counter—set up in the sawed-off front of an actual ice cream truck. Nearby Slab Sandwiches + Pie (1201 10th Ave; slabsandwich.com), a small counter attached to high-end restaurant Lark, makes sophisticated versions of homespun desserts. 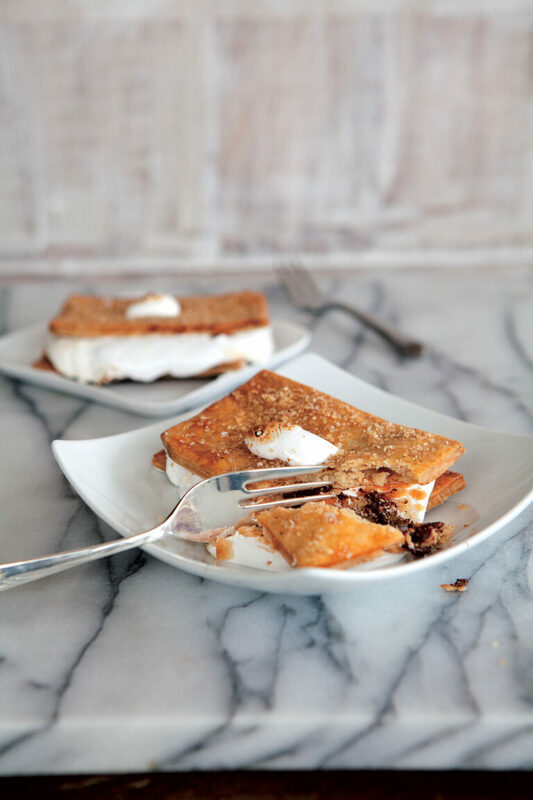 The s’more pie swaps in buttery pie crust for the traditional graham cracker; it’s a more savory, grown-up take of the campfire classic, especially with the hint of smoke from the marshmallow. Mini cookie sandwiches are filled with silky peanut butter, then dusted with bits of crispy chicharrón (aka fried pork rinds) for crunch. In a quieter pocket of the neighborhood lies Hello Robin (522 19th Ave E; hellorobincookies.com), a bakeshop dedicated to cookies. Offerings are modestly sized, but that’s all the more reason to order a few—especially when they come in uncommon flavors like birthday cake, rich molasses, and habanero chocolate chip. Inside the trim blue-and-white shop, customers can even build their own ice cream and cookie sandwich combo thanks to the outpost of local ice cream chainlet Molly Moon’s (mollymoon.com). Meanwhile, at Hot Cakes (1650 E Olive Way and 5427 Ballard Ave NW; getyourhotcakes.com), the signature dessert is a wee serving of perhaps the richest, gooey-centered, molten chocolate cake known to humankind. It’s also hard to resist the dessert bar’s lineup of decadent milkshakes that come either with spirits (peanut butter, caramel, and whiskey) or without (lemon curd and candied lavender). The Capitol Hill location, which opened in 2015, also offers DIY s’mores—either at a covered outdoor fire pit or tiny tabletop grills—and creamy soft serve you can top with everything from potato chips to a smoky house-made chocolate magic shell. flavors using organic fruit and herbs like spearmint, lavender, and rosemary grown in a garden right out front. Parfait also does its own ice cream base from scratch, a laborious process that makes even simple flavors like mint or coffee feel somehow deeper and more intense. Scoops are sublime on their own—but even more so when packaged as part of a macaron ice cream sandwich or in an ice cream cake. And in the Phinney Ridge neighborhood, near Woodland Park Zoo, don’t miss a chance to stop in at A la Mode Pies (5821 Phinney Ave N; alamodeseattle.com) for a thick slice of bourbon butterscotch, key lime, or the beloved blue Hawaiian, a sunny and surprisingly perfect combo of blueberries, pineapple, and coconut. Make good on the bakery’s name by ordering your slice with a scoop of locally made Bluebird ice cream.